Our 20th release on the label comes from long time DH Artist and Florida based gangster, Michael Rosa. It's been a long time since Rosa first showed up at our coldest Desert Hearts Festival to date as a wide-eyed 22 year old with little more than a T-Shirt, thinking he was in for a relaxing weekend in San Diego! But we've all witnessed Rosa's transformation into a world class producer as he steadily pumps out track after track of pure fire. 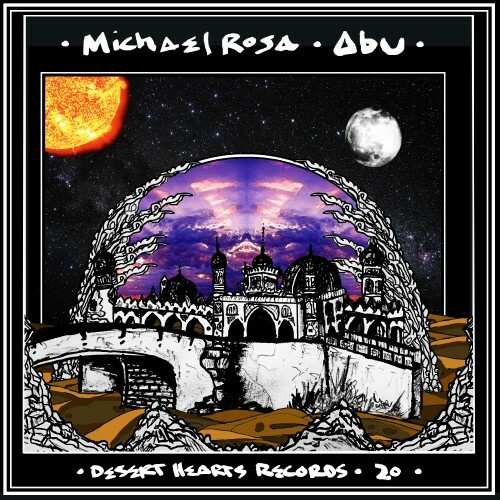 Since the beginning of the label he's been one of our favorite producers and we couldn't be more stoked to release his 2nd EP on Desert Hearts Records With this 4 track EP titled 'Abu', we get to see the full spectrum of Michael's sound. From Minimal to Tech House to Funk and everything in between, there's something for everyone in this package. The EP only gets better with an ultra fat techie remix from Jay Tripwire to round the whole thing out. We know you're gonna dig this. House, Techno, and Love... We Are All Desert Hearts.